Welcome to Day 4 of our blog hop with Graphic 45 design team! We are excited to share wonderful inspiration created with both company’s products. See what the two talented design teams have done. If you missed Day 3, click Blog Hop 2016 with Graphic 45 – Day 3, for Day 2, click Blog Hop 2016 with Graphic 45 – Day 2 and for Day 1, click Blog Hop 2016 with Graphic 45 – Day 1. Don’t forget there’s an opportunity to win a giveaway…stay tuned for details at the end of the post! I was inspired by the color combination in Graphic 45’s Cityscapes Collection to create masculine treat containers. With neutral colored accents such as sequins and twine, this can be made quick and easy using Scrapbook Adhesives by 3L® Extreme Double-Sided Tape 1/8″, Twine and Dodz Adhesives Dots Mini (for sequins). The treat containers are adhered together using Extreme Double-Sided Tape 1/8″ to ensure they hold up when filled with goodies! The added element of a “pop up” is the cute little tag which is popped up with some twine peeking out behind it using 3D Foam Squares White Small. To finish it all off add a few sequins using our Dodz Adhesives Dots Mini. For this Pop-up Challenge, I made an accordion card because I love all the different elements this paper offers. I started by fussy cutting more than I needed, and narrowed down my choices and placement using the E-Z Dots Repositionable adhesive. It allowed me to temporarily adhere the pieces, remove them, adjust position and move them again until I had it just right. E-Z Dots Repositionable give me a strong bond that holds, but allows me to move pieces without damage or reapplication. It’ll hold forever unless I decide to move it again. Once I made up my mind, I adhered the layers using 3D Foam Squares, Crafty Foam Tape for longer pieces, and E-Z Squares Refillable. I added a few Creative Photo Corners. For the back side of the Eiffel Tower image corners, I added glitter to take care of the exposed adhesive. (baby powder or similar would work too, just so that it doesn’t catch dust and dog hair, LOL) This card folds flat for mailing, and then expands for display. From different angles, you see different images on the multiple layers. **If you cannot see the comment section (at the bottom of this post), please click: Blog Hop 2016 with Graphic 45 – Day 4. This entry was posted in 3D Foam Squares, Adhesive Dots & Lines, Adhesives, Announcement, Crafts & Tutorials, Extreme Double-Sided Tapes, Gifts, HomeHobby by 3L, Party Favors and tagged 3D Foam Squares Mix Black, 3D Foam Squares Mix White, 3D Foam Squares Regular Black, 3D Foam Squares Small Black, 3D Foam Squares Small White, Adhesive Dots Mini, AJ Otto, Beth Pingry, Blog Hop, Card, Crafty Foam Tape Black, Creative Photo Corners Ivory, Creative Photo Corners Mix Pack, E-Z Dots Repositionable, E-Z Dots Repositionable Refill, E-Z Dots Repositionable Refillable, E-Z Runner Grand Repositionable Dots Refill, E-Z Squares, E-Z Squares Refillable, Extreme Double-Sided Tape 1/8", Gift Box, Graphic 45, HH Double-Sided Tape Runner Refill Dots Repositionable, Masculine, Pop Up Card, Scor-Pal, Twine. Bookmark the permalink. 38 Responses to "Blog Hop 2016 with Graphic 45 – Day 4"
Beautiful treat containers and accordion card! Love the treat boxes – so different. Wow – these are beautiful projects, and a fantastic prize! The treat boxes are so great! I love the fact that you have adhesives to keep these guys together! I am loving the pop up card as well! Love the design and the theme! Truly another wonderful bog hopping day! These are so very cool! 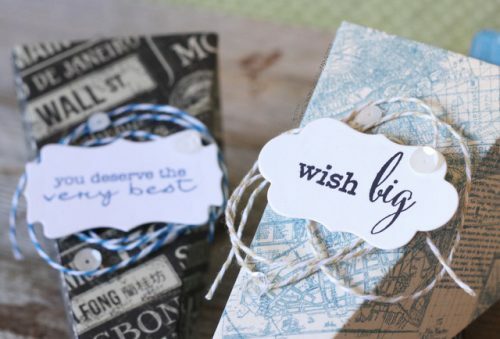 Men are always hard to pick for in paper crafts…but these are right on the mark!! AJ’s treat containers are so pretty! They almost remind me of Tussie Mussies! LOVE Beth’s travel card! Great paper choices and Scrapbook Adhesives by 3L are the perfect adhesive to keep them stuck forever! Thanks for having me along on this fun journey! Love these projects! The treat boxes are great. I especially like the step card. I love the multiple layers and dimension. Thanks for another day of great inspiration. Those masculine treat containers are awesome – I might make some for Christmas instead of using stockings! Everything is gorgeous as usual – and Cityscapes is quickly becoming a favorite collection! 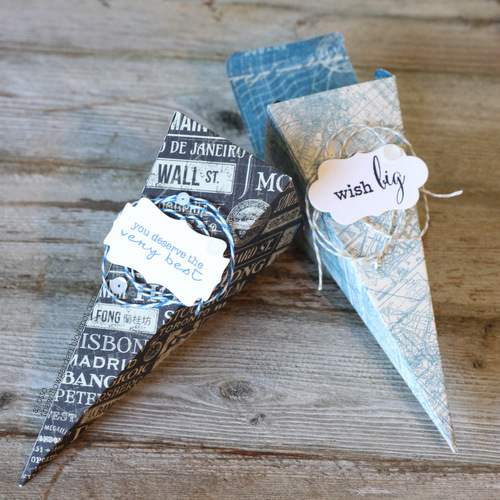 I love the projects with Scrapbook Adhesive and Graphic 45! The card is so well done, I want to give it a try! Thanks for the great Blog Hop. Love you projects and thanks for the chance! 3D projects are my favorite and I think both projects take full advantage of the G45 papers. It’s nice to see some treat boxes for the men in our lives. Guys love treats too lol. The step card is fabulous it really gives you lots of space to display all those beautiful images from the G45 paper. Well done ladies tfs. Loving the Cityscapes collection! Great projects today with lots of layers. Love these gift box ideas. I use your adhesives a lot and love them too! Another day of great inspiration. Since I can never make up my mind where I want something, adding repositionable E-Z Dots. I love all of the inspiration! Love AJ’s masculine treat holders!! And Beth’s card is spectacular!!! What a great collaboration!!! Thanks for the fun and awesome inspiration all week!!! What great projects! I especially love the idea of the accordion card – will be trying this one myself! I am so inspired by the gorgeous projects shown here, and the partnership of G-45 and Scrapbook Adhesives. Sticking beautiful bits together to make such stunning pieces makes my heart happy. What adorable projects! 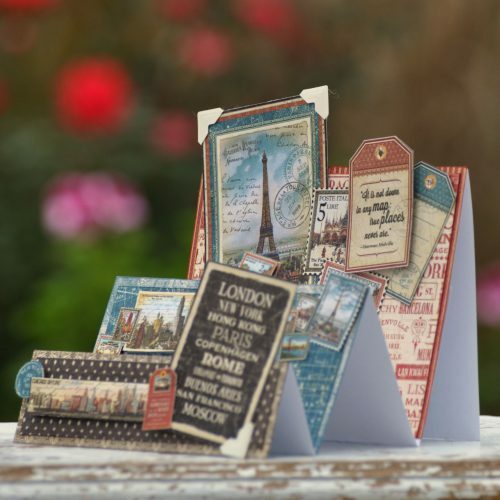 I love how the details of Graphic 45 papers are layered and 3D with your adhesives and foam squares. A great marriage! and the card is awesome! I make all of my Christmas cards and right now I have about 200 done!! Gorgeous projects today! Thanks for sharing! Scrapbook Adhesives are my favorites! And I really love Beth’s accordion card. Something I’d really love to try. These projects are gorgeous! I love the different ways to use the Cityscapes collection with wonderful adhesives! I hope to make all my Christmas cards again this year. It is certainly a labor of love that I enjoy doing. Awesome treat containers and accordion card! Loving this collaboration! Two great companies with awesome products! Awesome projects, thanks for sharing them. I love using e-z dots on my paper projects. Or on journal covers or albums for dimension. G45 paper gives lots of opportunity to create pop-up pieces. AJ I love those cones-So clever! So inspiring to see so many great ideas coming our way! Great projects today! Thank you so much for the hop this week, your DT did such an awesome job! Thank you for sharing. 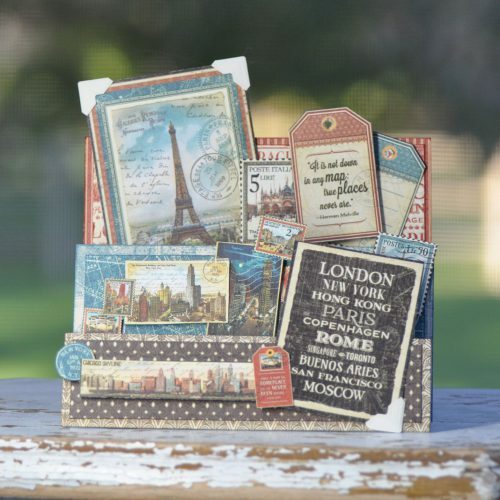 These are so terrific and love the City Scapes multi tier card especially!! SWEET treats and FANCY folds – I’m INSPIRED!! !